A general-purpose stethoscope that offers a traditional bell and diaphragm with an aluminum chestpiece to provide acoustic sensitivity. The Pro Advantage nurse stethoscope features a diaphragm only nurse style chestpiece with a non-chill rim, lightweight adjustable binaurals, flexible PVC 22" Y tubing, and choice of eartips. One year warranty. Latex free. 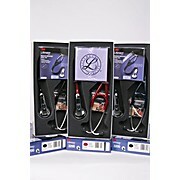 Tech-Med's basic Single Head stethoscope for blood pressure readings. This stethoscope features an anodized aluminum chest piece, a chrome plated brass binaural, and a color coded non chill ring. 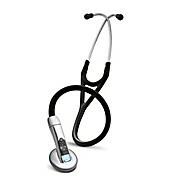 Tech-Med's basic Neo-Natal stethoscope for blood pressure readings. 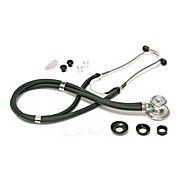 This stethoscope features an anodized aluminum neo-natal chest piece. The Pro Advantage infant stethoscope features a combination chestpiece with a 22mm diaphragm and bell, slip on gray non-chill bell ring, lightweight adjustable binaurals, flexible PVC 22" Y tubing and choice of eartips. One year warranty. Latex free. 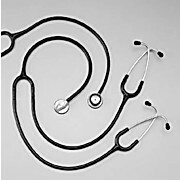 A stethoscope with two headsets which allow instructor and student to perform simultaneous auscultation. Patented tunable diaphragms. 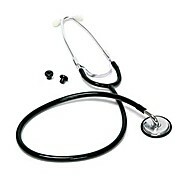 Tech-Med's Sprague Rappaport type stethoscope provides versatile acoustical response for infants, children, and adults. This stethoscope features a chrome plate brass chest piece and binaural, complete with accessory pouch, ID tag, and instruction manual. Tech-Med's classic blood pressure reading stethoscope. 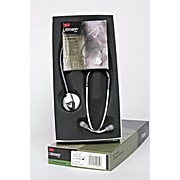 This stethoscope features a chrome plated chest piece and an adjustable chrome plated binaural. 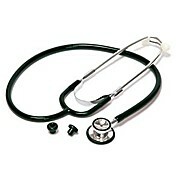 Tech-Med's entry level professionally weighted stethoscope. 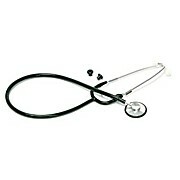 This stethoscope features a chrom plated brass chest piece and an adjustable chrome plated internal spring binaural. Includes an extra pair of ear tips and diaphragm. Tech-Med's basic pediatric stethoscope for blood pressure and respiratory readings. 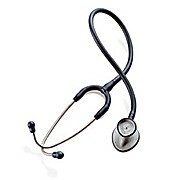 This stethoscope features an anodized aluminum chest piece and an adjustable chrome plated brass binaural. Allows you to visualize what you are hearing, playback recordings when and where convenient, store recordings in patient records or transfer sounds to colleagues for further analysis. The Pro Advantage dual head stethoscope features a combination diaphragm/bell chestpiece with a non-chill rim, lightweight adjustable binaurals, flexible PVC 22" Y tubing and choice of eartips. One year warranty. Latex free. 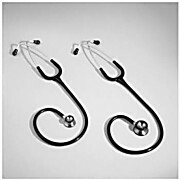 The Pro Advantage bowles stethoscope features a diaphragm only chestpiece with a traditional raised stem design, lightweight adjustable binaurals, flexible PVC 22" Y tubing and choice of eartips. One year warranty. Latex free. The Pro Advantage pediatric stethoscope features a combination chestpiece with 1 1/4" diaphragm and 3/4" non-chill bell and rim, lightweight adjustable binaurals, flexible PVC 22" Y tubing and choice of eartips. One year warranty. Latex free. 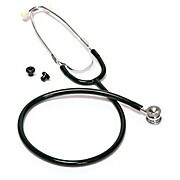 Tech-Med's basic Dual Head stethoscope. 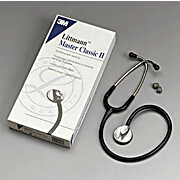 This stethoscope features an anodized aluminum chest piece and a chrome plated brass binaural.